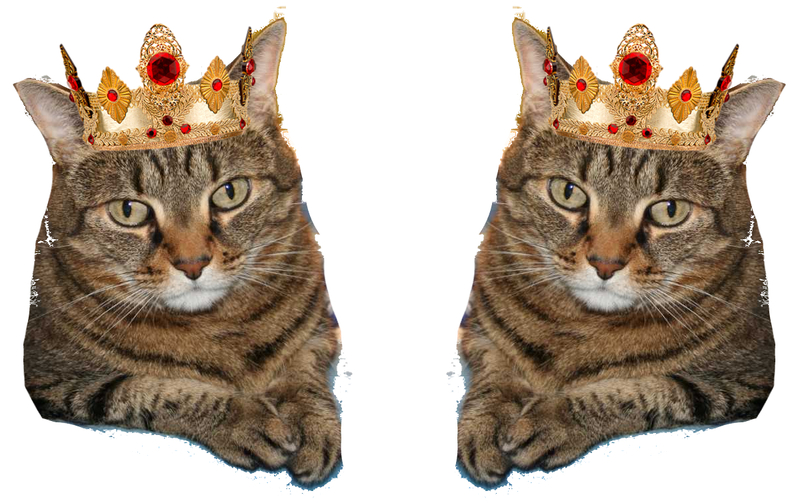 It is I, Tabby – first of her name, the queen of Jane’s Place, slayer of mouse toys. You may have never met me, or maybe you are one of the select members of my very elite inner circle. Either way, you know my name – but maybe not my story. I was once a little kitten not too long ago (I still get carded at the catnip store 😉) and I had been living at a humane society. I got adopted by a family who already had a lot of other pets and I was miserable. A queen shouldn’t have to share her throne with ANYONE – let alone cats who terrified me. I spent most of my years there hiding in the highest tower (aka a dresser) to try to escape those beasts. When it became clear that this was not my forever home, I came to the sanctuary all the way back in July 2014. I had learned that the best defense was a strong offense. I had built up my “tough gal” behaviors in order to protect myself and keep myself safe. It took me a while to realize I could let my guard down. It took a lot of patience from the staff and volunteers to give me the space I needed to adjust to my new life. I appreciate it so very much. My anxiety is something I will always carry with me, but I learned a lot better “coping skills” throughout my years here at the sanctuary. After years of searching and months of promotions, I have found my match and have already left the building. As of yesterday, I am now “Abby” and have started my new journey – and a new blog. My new mom had adopted from the sanctuary before, way back when, from when it first opened. That kitty has since past away, and she was ready to open her heart again to another behavior case. She saw all the special posts you made for me and fell in love. In my parting address, I would like to extend my paw in thanks to every volunteer and staff member who provided me with the love and support I needed to become my best self. I know many of you didn’t get to meet me or spend a lot of time with me, and I appreciate your understanding of my introverted ways. Thank you to everyone I did spend time with and who used pictures, letters, posts, and good vibes to aid me on my search. The sanctuary and its helpers are truly magical. With this environment and your company, I was allowed to blossom. I’m ready to start my new reign. Long live the Queen!